In the first commencement speech, SNU Interim President Park Chan Wook conveyed his congratulations to graduates on behalf of the SNU faculty and administration, and expressed his gratitude to the faculty, staff, alumni, and family members who have supported the graduates throughout their academic journeys. In his speech, Professor Park highlighted the importance of university education, where the exploration of ideas across various academic fields of inquiry builds a foundation for making wise, informed decisions in the future. 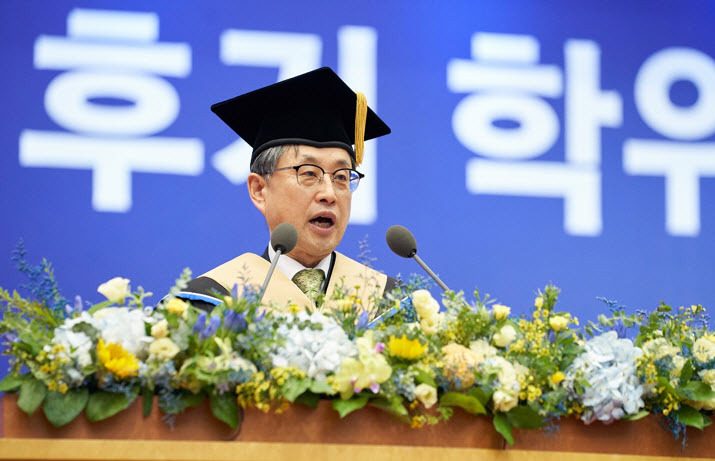 He described SNU as an educational haven where the intellectual property of humankind is transmitted and new ideas are born, allowing its members to discover themselves as contributors to society.